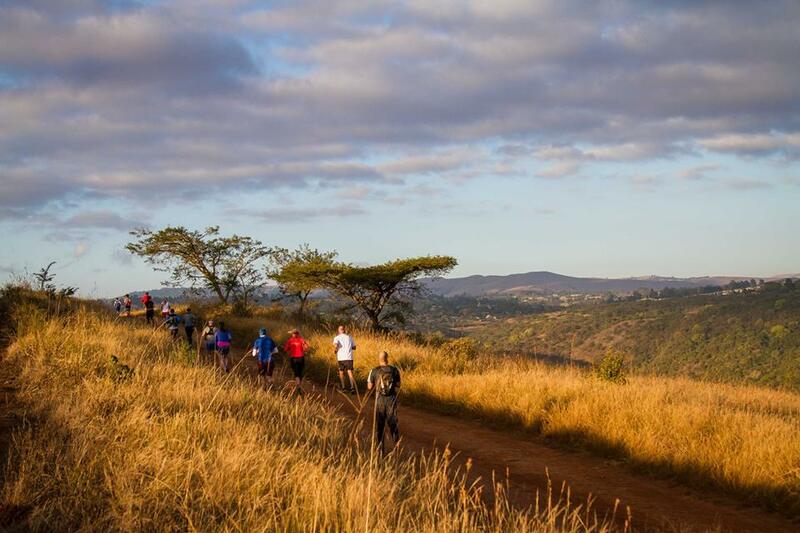 Outdoors and nature loving families can look forward to some Christmas themed trail run fun on Saturday evening, the 8th of December at WESSA, uMngeni Valley Nature Reserve. What better way to celebrate the beginning of the holidays and get into the seasonal spirit than with a sunset trail adventure with friends and family?! 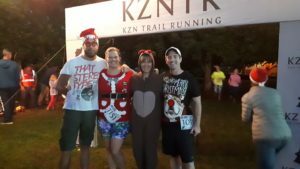 Brought to you by the Howick based family-run KZN Trail Running, The WESSA Christmas Night Run has two distances of 5km and 12km to choose from. The routes explore the stunning, beautifully maintained trails of uMngeni Valley Nature Reserve, Howick’s very accessible green gem. Both distances are open to runners and walkers alike and set off at dusk, affording participants the treat of a gorgeous Midlands bush sunset. Don’t forget your headlight or torch as it may well be dark by the time you get back. Everyone is encouraged to get into the festive vibe by dressing up in their best Christmas outfit! Family members of all ages will get their chance to enjoy the moment… A special highlight for the youngest of the clan is the 1km Santa Dash, complete with milk and cookies waiting at the finish line! Parents can enjoy the fun with their littlies before they head out into the Reserve for their own adventure. The KZNTR KidZone will be in action for children 2yrs and older so that parents can get out onto the trail with peace of mind, knowing that their little ones will be looked after and entertained by our experienced child minders. Back at the start / finish area, participants, their friends and their family will be able to sit back, relax and enjoy some delicious meals, refreshing drinks and top-quality coffee, whilst they enjoy the festive atmosphere and fun dress up outfits! As always, at KZNTR events there will be some super lucky draw prizes up for grabs and a special prize will be awarded for the best “Christmas” outfit! Pre-entries for the event close at noon on Friday 7th December but on the day entries will be available (late entry surcharge applies to over 18’s).